4,375 backers pledged $298,608 to help bring this project to life. Watch the pitch video in higher quality on Youtube! Mordhau is a multiplayer medieval fighting game where fights range from duels all the way to large, open battles of up to 64 players with horses, siege engines, and castles to be stormed. It features a skill-based free-flowing combat system that is easy to learn, but hard to master. The game is being built on Unreal Engine 4 and will be released on Steam for Windows PCs. Other operating systems and platforms might follow post-release, but there are no concrete plans at the moment. Check out some of the game's key features below. FREE-FLOWING COMBAT. Chain your attacks into combos, punish your opponents with quick counters, push them away with kicks, trick them with feints, grip your polearm closer to the head, use real halfswording techniques -- and much, much more. And the best part? You can combine it all, any way you want. Get creative with your play-style. EXPRESSIVE CONTROLS. An entirely new dimension of input. Our melee combat system allows players to cut and thrust from a total of 240 different angles by flicking their mouse in the desired direction. If you prefer a controller over a mouse, or a more traditional control scheme, don't worry, we've got you covered. REAL-TIME COLLISION DETECTION. Your blade will cut exactly where it looks like it should. Weapons can clash together, resulting in fast-paced exchanges and the occasional loss of hands. BELIEVABLE FIGHTS. A game where fights look believable, Mordhau strikes a balance between gameplay and realism. Ballerinas and circus performers are replaced by carefully designed combat mechanics. We are confident that our system solves most of the common problems of this genre, and is also heaps of fun. GORE. LOTS OF GORE. Decapitate your foes, cut off their arms, hands and legs and watch throats being slit while they gurgle their last breath away. And for those who prefer a more family-friendly visual effect, we will offer options to tone the gory visuals down a notch. DEDICATED SERVERS. Bad netcode can ruin a multiplayer game, especially a melee title with a focus on precise timing. Peer-to-peer? No thanks. Dedicated servers ensure a stable experience and low ping. SIEGE ENGINES. Take out enemies from the safety of your catapult, scale siege ladders and fight on them, or pin enemies down with a well-placed ballista shot. MAP INTERACTIVITY. Bring gates crashing down on enemies, chuck boulders off of castle walls, and pick up and drop equipment as you go. Interaction is a big part of the game, and it spices up every match. FIGHT ON HORSEBACK. Plow through the enemy ranks on your horse and launch surprise flank attacks on the enemy archers. Take care not to get swarmed and overwhelmed by infantry! VARIED BATTLES & ENVIRONMENTS. Our combat system is designed for fights ranging from duels all the way to large open battles of up to 64 players with castles to be stormed, and fields to be covered in blood. A variety of environments will keep each battle interesting, as we will take you from dusty deserts, to lush green forests, and even icy peaks. RANGED COMBAT. The game’s arsenal includes ranged equipment such as bows and crossbows. You can also throw your sword, preferably into someone’s face. Projectiles will collide with other projectiles, and even attacks. See an axe flying towards you? Bat it away. EXPRESS YOURSELF. Use animated emotes and voice commands to scream at the top of your lungs as you charge into battle, or simply sit back and laugh at your enemy's demise. CREATE YOUR WARRIOR. Pick your gender, choose the type of body, adjust facial features, and even sculpt a face to your liking. We want you to be recognized from how you look, as well as from how you fight. SUIT UP. Create your suit of armor: pick from gloves, arms, shoulders, chest pieces, legs, boots, helmets, and more. Color each piece to your liking and select a metal tint. Pick an emblem that represents you well, and you can even choose how polished you want the metal to be. Be anything from a viking to a crusader. BUILD YOUR WEAPON. Smith your sword out of individual pieces: pick from blades, crossguards and grips. Want a mace instead? No problem, pick your head and handle and choose the wood type. There are hundreds of possible combinations. WATCH & LEARN. Spectate other players in first or third-person to see how they play and record your battles to watch them from different perspectives with our demo system. We even used it to record our gameplay trailer! BUILT FOR PC. Choose your desired field of view, unlock your framerate, set all manner of control and quality options that have once been taken for granted, but are now missing in many recently released games. OFFLINE PLAY. Mordhau is primarily an online game, but you can play the game offline against bots with different personalities and difficulties. NO EARLY ACCESS. We aim to deliver a polished game that we will continue to expand with post-release content and updates. Reaching these stretch goals will help speed up the development of the game. We’re passionate about what we’re making, so it is likely that we will attempt to deliver these regardless of the funds raised. However, they may take longer to complete and may arrive much longer after the game has been released, or they might not materialize at all. With your help, we can ensure this doesn’t happen. Please do keep in mind that these goals represent additional development time, and may not make it directly on release. We will be revealing the hidden goals as the campaign funding progresses, so keep your eyes peeled! Mordhau is being developed by Triternion. We're a young, 10-person international team driven by our passion for melee games and the medieval era. We've accumulated thousands of hours of playtime in awesome titles such as Chivalry, Mount & Blade, War of the Roses, the Jedi Knight series, and many others, too. Having been part of the community as players as well as content creators, we feel we’re in a unique position to use this experience to refine and further evolve the melee genre. For the music behind Mordhau, we're collaborating with a team of three passionate composers: Viktor Alexander, Paul Keilhau and Lukas Gorris. Their music brings an element of grit and power to the already brutal setting. Up until now, we have been operating without a budget, living off of our personal savings, and working part-time jobs. 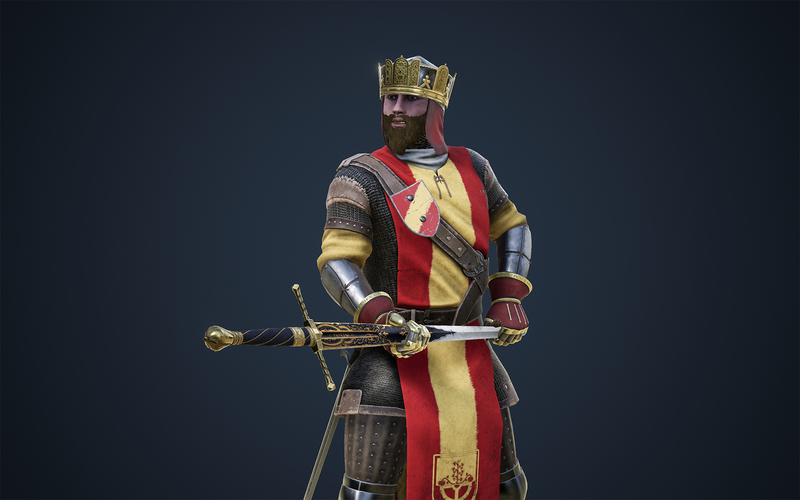 To be able to finish Mordhau in a reasonable amount of time and survive the costs that come with it, we decided to ask you, our backers, for help. The target goal we've set will let us release the game in time, but just barely. The more money we raise, the smoother the ride. This means more things we can include, and a better, more polished final product. Below we have compiled an estimate of how the $80,000 will be spent. Any additional money raised will go towards development. Backing at the Alpha level or above ($60+), will give you access to our Backer Alpha, which will begin around August 2017 and last until Beta. The alpha will be missing certain features & content, and the focus will be on testing the combat. Backing at the Beta level or above ($40+) will give you access to our Backer Beta, which will begin around January 2018 and last until Release. The beta will be in a more polished state than the alpha, and be more or less feature-complete. Backing at the Release level or above ($20+) will give you access to the game on release, which will be around March 2018. At release, the game will be feature-complete. 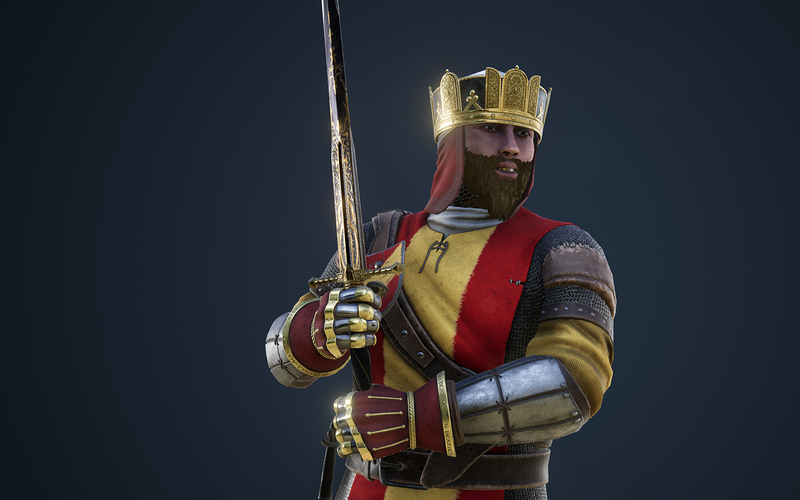 Take a gander at the gold teeth below, along with the other cosmetics. We’ve been blessed by an active community that works tirelessly to help promote the game, as well as offer feedback and suggestions. We wouldn’t be here without them, and we love them to bits. Our community spans several social media websites, and we welcome you to join us on all of them. A game is nothing without its players. Mordhau has been the recipient of the IndieDB Editor’s Choice Best Upcoming game, and as if that wasn’t enough, we were voted #1 Best Upcoming game by the players as well! If you’d like to see what others are saying about Mordhau on Youtube, we’ve collected a playlist for you. Unreal Engine 4 is a complete suite of game development tools made by game developers, for game developers. From 2D mobile games to console blockbusters, Unreal Engine 4 gives you everything you need to start, ship, grow and stand out from the crowd. Revolutionary new workflow features and a deep toolset empower developers to quickly iterate on ideas and see immediate results, while complete C++ source code access brings the experience to a whole new level. Unreal Engine technology powers hundreds of games as well as real-time 3D films, training simulations, visualizations and more. Over the past 15 years, thousands of individuals and teams and have built careers and companies around skills developed using the engine. With video games, delays are always a possibility. Since we do not aim to release the product in early access, this makes it even more challenging to deliver on time. However, we are committed to finish this game no matter what. We’ve been at it for a few years, the game is not in a concept or prototype stage, and the funds raised will allow us to accelerate development. We are both aware and cautious of feature creep at this point, and are realistic about what we can accomplish for release. Get the game on release. Get exclusive access to the beta & get the Mordhau soundtrack. Get exclusive access to the alpha & kickstarter-exclusive gold teeth! Get a kickstarter-exclusive engraved longsword skin & have your name appear in the credits. Get 3 copies of the alpha tier cheaper. Get a kickstarter-exclusive pair of gilded gloves and an in-game emblem. In addition, you get to choose the name for one of the bots in the game. Get 5 copies of the alpha tier cheaper. Get a kickstarter-exclusive royal helmet and submit an emblem design to be included in the game. We will design a personal emblem to your specifications, that only you will be able to use. Additionally, your name will appear on a tombstone in the game. Leave a message of your choosing on one of our maps, and get listed in the credits of the game as "Associate Producer". We will immortalize you in our game by creating a stylized portrait of you to be placed on our maps as decoration.